Sometimes the world appears as a field of vision, a gestalt whole, and looking at it throughout your life there are details that only emerge gradually from the background. I am having that sort of breakthrough with the composer Albert Roussel (1869-1937) who before now I tended to lump together with the French Impressionists, meaning that I paid too little attention to what makes Roussel a voice in very much his own right. That changed a few weeks ago when I put on the first of a projected (complete?) series of volumes devoted to his solo piano music. 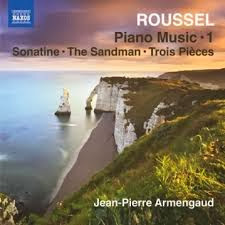 Piano Music 1 (Naxos 8.573093) gives us Jean-Pierre Armengaud's renditions of a good selection of Roussel works spanning the period 1904 to 1933, much of his career. What is surprising is that other than "Le Marchand de sable qui passe - musique de scene, Op 13" (1908) which enjoys its first recording in the piano version, there is less of an obvious Debussian-Impressionist flavor to this music than I would have expected. Or rather it would be more accurate to say that Roussel is on his own turf from the 1912 "Sonatine" on. There are proto-modernist moments, an idiomatic pianism, a distinctive melodic-harmonic fluorescence, a sensuous quality to his music that cannot be reduced to "what was in the air" at the time. The "Trois Pieces, Op. 49" (1933) is an excellent example. There is rhythmic vitality, a quirky melodic asymmetry, a modern modulatory sort of feel. There are no clinker pieces on this disk. Everything is very well imagined and executed, even the earlier works. Jean-Pierre Armengaud has the drive and pianistic poeticism to make these performances sound in a way Roussel no doubt would have approved. The man who taught Satie and Varese had his own way. You can hear that quite nicely on this Volume One. Bring on the second! The end of the Soviet Union and the reorganization of Russia and its formerly or continuing Federated States has meant that the "West" has seen a dramatic blossoming of Russian music and musicians on our turf, perhaps as never before. It makes sense. It's easier to work outside of Russia than it was I can assume and the music can travel with less bureaucratic obstacles on either side. 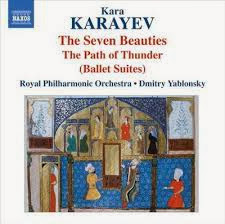 So today we have a Russian-Azerbaijanian conductor (Dmitry Yablonsky) conducting the English powerhouse, the Royal Philharmonic in a program of two ballet suites by the Azerbaijani-Soviet composer Kara Karayev (1918-1982). The two suites are from 1953 and 1958, respectively. They are The Seven Beauties and The Path of Thunder (Naxos 8.573122). Karayev notably was Shostakovich's favorite pupil in the master's later days. And Karayev also made a point of incorporating folk-like melodies, from Azerbaijan, into his music on a regular basis. All that helps to explain his music in some way, but perhaps not always in the obvious ones. The Seven Beauties comes out of Nizami's 1197 poem on the legend of a king who was married to seven beautiful women, each living in her own pavilion. The ballet and its suite's central section devotes a movement to each of the women who are in part defined ethnically-nationally, so we have "The Indian Beauty", "The Byzantine Beauty", the Slavonic, the Chinese, etc. Each gives Karayev the opportunity to write folkish movements. There are Azerbaijani related melodies when appropriate but then there are those that enable Karayev to extend the range of his expression. This is descriptive ballet music that sounds as much appropriate for the Russian ballet as it stands on its own as concert fare in the suite. One is occasionally reminded of Prokofiev's ballet Cinderella for the broad sweep of its themes and the more descriptive "Euro-Russian" sorts of passages to be found there. There is more to it than that, though. The same might be said of his second ballet suite, The Path of Thunder, which concerns forbidden love in Apartheid South Africa. This music, too, has descriptive movements that make an effort to incorporate local folk elements into the score, though I must say I don't hear much that sounds especially South African to it. No matter. In this case too there is less of the obvious Azerbaijani strains to be heard, but you'll hear them now and again if you listen closely. In so far as Karayev's relationship to Shostakovich goes, it comes out especially in Karayev's orchestrational rigor. All the music sounds especially well for the full orchestra and he excels in the manner of the master. Otherwise a Shostakovichian influence can be especially heard in some of the scherzo-like passages that reflect an almost whimsical approach, perfectly well suited for the dances they were intended for. Karayev here is not a mirror reflection of Shostakovich or anyone else. He was not thoroughgoing in following Shostakovich in his later period, when Dmitri was more open to modernist and more expanded, increasingly personal approaches to the 20th century he was a part of. Karayev is more Russian than modernist. Some of the music here might almost have come from the pen of later Tchaikovsky, still more the Russian nationalists. That is only to say that Karayev stayed more closely to the Russian later Romantic model. In the end what matters is the music. The two suites here make for captivating listening for anyone with an ear for the symphonic unfolding of the past 200 years. Yablonsky gives the Royal Philharmonic plenty of inspiration and they respond with dramatic readings that bring the music to concrete life. Karayev in the end is no Shostakovich, and that is in his favor, really, since a carbon copy is not what we need. He is an excellent craftsman and the music has some moments of brilliance that spark an otherwise totally well-mapped and well-conceived series of suites. It will most certainly appeal to the confirmed Russophile and those who seek to know more of the Azerbaijani contingent of Russian composers of the past century. It's also just plain good listening. Alvin Lucier somehow manages to come up with compositions that have such a personal singleness of purpose that they may exasperate you at first. But the more you listen, the more you cannot forget them. You even at the end like them, or I usually do, but as part of a process. I remember buying his two-LP set years ago, Music On A Long Thin Wire. I was not a very patient person then. Life was something I had to "do" at that point, the more quickly, the better. That music was oh, so slowly moving that I could not at that time bear it. Only later, in fact only in the last 10 years when it was available on CD did I come to appreciate it a great deal. Now I am not saying that you are going to feel the same way about the group Decibel's performance of four Lucier works, on the CD Still and Moving Lines (Pogus 21072-2). I don't think exasperation will be your reaction, even the first time out. In fact you may well find the works more readily accessible like I did. That may have something to do with the very sympathetic reading that Decibel gives them. They are a Perth, Australia based new music ensemble that favors works that combine acoustic instruments, electronics and the incorporation of the environment into performances. And it just so happens that the four Lucier works do all of that in varying degrees. Perhaps the more difficult work is "Shelter" (1967) for vibration pickups, amplification system and enclosed space. They use the auditorium of an Australian music conservatory, placing pickups on walls, doors, etc., that receive everyday, typical sound vibrations coming from outside the auditorium and then generate the external-internal filtering and amplification of those sounds into the auditorium via loudspeakers. This is an example of Lucier's more experimental period and the sounds are fascinating but do take some getting used to. On the other hand, his "Ever Present" (2002) for flute, saxophone and piano with slow sweep pure wave oscillator is much more readily grasped. The combination of instrumental parts and the ever changing pitch of the oscillator has a somewhat more conventional "new music" sound to it and it is masterfully performed. "Hands" (1994) and "Carbon Copies" (1989) are somewhere in between the two extremes, but generally have that sustained performative rigor (and vigor) that define the best of instrumental Lucier. It is surely something to do with the talent and sensitivity of Decibel that these works are so communicative. But of course, again, these are some excellent Lucier works covering a wide span of time. If you want to experience Alvin Lucier and why he remains so central and vibrant to the new music scene, this is a great place to start. It definitely is up among his very best. 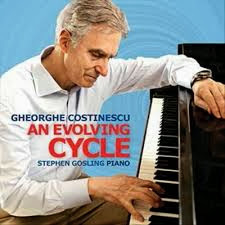 Gheorghe Costinescu (b 1934), a composer we should know more of than we do, was and is a primary modernist who earned an MA in Composition from Bucharest University, studied with Stockhausen, came to New York in 1969 and studied with Berio at Julliard, then went on to receive his PhD from Columbia after studying there with Chou Wen-chung. On July 31, 2012 I reviewed his Jubilus and Pantomime DVD here and it woke me up to the man's music. Today we return to him in a CD of his piano music, An Evolving Cycle (Ravello 7878). It contains a chronology of four piano works composed between 1956 and 2011, sometimes of Promethean difficulty, reflecting the stylistic movement from baroque through very modern forms, becoming ever more expressionistic and extra-tonal. The works are played with dramatic, dynamic virtuosity by Stephen Gosling, who judging from this recording is a vastly talented artist. He has the fire and the technique these works call for, and has it in abundance. The performances are remarkable. The four works show the evolution of the composer's thinking from the very early (1956) "Theme and Variations", which shows an already gifted inventive sense, through to the "Sonata for Piano" (1957, revised 2007-08), the "Evolving Cycle of Two-Part Inventions for Piano" (1964) reflecting the gamut of period styles from the baroque onward in inimitable ways, and finally the very abstract "Essay in Sound" from 2011. The music impresses by its singular dedication to drawing highly structured yet extraordinarily expressive, pianistically sympathetic, beautifully inventive music for 88 keys and a virtuoso with colossal dedication. I have to say, this one is a milestone in modern piano works and their performance. From first until last we are treated to a major composer (albeit rather unknown) as played by an extraordinarily gifted pianist. If the modern, advanced world of contemporary pianism rings the right resonances with you, this will be a revelation. By all means listen to this one! This somewhat unusual release (Harmonia Mundi 807566) features tenor Mark Padmore in a series of song settings by 20th and 21st century English composers. The Britten Sinfonia accompany him for Jonathan Dove's "The End", a newly commissioned work of melancholy beauty. 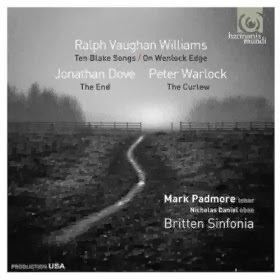 They also provide the same for Peter Warlock's "The Curlew", a pastoral song cycle with an kind of English impressionist glimmer in a moody setting. Vaughan Williams is represented by two of his somewhat lesser performed but nonetheless enchanting works. "On Wentlock Edge" is a cycle for tenor, piano, and Sinfonia members, the piano part performed nicely enough by Huw Watkins. "Ten Blake Songs" are for tenor and oboe, with Nicholas Daniel playing the oboe part with definitive evocative assurance. Both represent the rustic side of Vaughan Williams and are alone worth the price of admission. Ultimately it is Mark Padmore who reigns supreme in this set. He shows himself a singer of passion and dramatic elan. The series of works represented here have in common a set of moods and a quasi-impressionist palette of sound transparency. When you hear a body of music previously unknown to you and the performances are very good, it's sometimes something like meeting up with a relative later in life whose path you never crossed. There is something so familiar about that person, yet you have never seen her or him before. 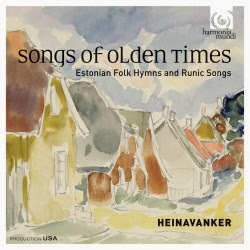 That's the feeling I get listening to the choral group Heinavanker and their album Songs of Olden Times, Estonian Folk Hymns and Runic Songs (Harmonia Mundi 907488). This is a terrific group and the music. . . I have never had the pleasure to hear the archaic vocal works of old Estonia. As I listened I heard something I've never heard before, with echoes of Orthodox Chant, Gregorian Chant, choral music of Georgia and the Ukraine, Medieval Organum, Mongolian throat singing, all kinds of things it had some relation to yet so different it clearly was not a direct product of any of the others. And it's so pleasingly old that it sounds like it could be an old-in-the-new series of contemporary works. It isn't. The fact that Arvo Part hails from Estonia led me to search for things that reminded me of his work, but it isn't quite like that, either. Heinavanker, which means in Estonian "The Hay Wain", is a vocal ensemble formed by local composer Margo Kolar in 1996. They sound as they must be, that is, totally immersed in the archaic chant style of the region. They sound phenomenal. The music covers quite a bit of ground. The melodies range from strictly but evocatively chant-like to folkish song form and everywhere between the two. Harmonies have thirds fourths and fifths and sometimes move in parallel motion, sometimes not. There are occasionally drone elements and then the throat singing makes its appearance now and again, with mostly the whistling sort of technique employed to add color to the ensemble while others sing in normal voice. This is music you don't forget easily. It haunts. It evokes a world we inherited but never knew about (certainly not in the US anyway) until the recorded medium began bringing world and time to our shores, to our listening ears and hearts. And even at that Estonian vocal music has not been around much here. This is a first for me at least. Songs of Olden Times is all about discovery. It is about a music that lives on and sounds as much relevant to our musical beings as anything. It's so old it almost sounds new. It is extraordinary music. The performances are totally compelling. Grab this one and drift off to a new yet ancient musical world. I tend to associate cold weather with early vocal music, the baroque especially. Of course there is no one season for it, but it warms my insides this time of year. So as I play the disk up for review this morning I feel a little more warm. You can do little better than Palestrina, that incredibly deft master of counterpoint. The Sixteen give his music loving care as they give is their Volume 4 (CORO 16114) of his music for unaccompanied choir. 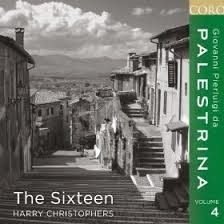 As usual the Sixteen under Harry Christophers are an ideal ensemble for the music. They sing with haunting period luminescence. Anybody who at one time ended up with some of the lesser quality Palestrina devoted LPs of the earlier days knows how much the music virtually stands or falls on a passionate, period-oriented vocal ensemble. Early music performances on disk have progressed, thankfully, so that you meet up with clinkers less, but the Sixteen are as near perfect as you can get, virtually speaking. The program of Vol. 4 is at a high level, with some relative obscurities, like "Missa O Magnum Mysterium", and some others better known, like "Song of Songs", Nos, 7, 8 & 12, but all are quite beautiful. There's a Gregorian Chant arranged for polyphony in the idiomatic Palestrinian style, written to be sung on Christmas morning. It's all transportingly lovely. Those old cathedrals must have been very drafty back in the day, but the music had to have warmed them up. It does that to me. Palestrina well sung transcends season and time, but listening right now seems especially fine. Another winner from the Sixteen! I decided it was time to start picking my records of the year for the majority of genres I cover. I did not in the past, except to name Wadada Leo Smith's major album set last year, partially because the genres were mixed up higgledy-piggledy in the various blogsites and partially because everything that makes it into a review here is a winner, or else I would not review it. That latter is still true, but with the maturation of my blog pages it's more clear than ever what goes where, as much as that can be. So I am picking this year for nine categories. See the other blogsites for the rest of my choices. Here are the three that belong in the Modern Classical category. 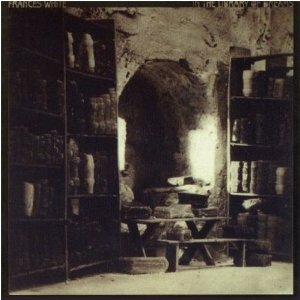 Best Modern Classical Album, New Music: Frances White, In the Library of Dreams (Pogus) See review, June 18, 2013. Best Modern Classical Album, Repertoire:Hindemith, The Complete Piano Concertos, Idil Biret, Yale Symphony Orchestra, Toshiyuki Shimada (Naxos) See review, November 8, 2013. 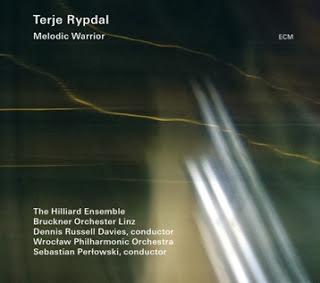 Best Modern Classical Album, Wild Card: Terje Rypdal, Melodic Warrior (ECM) See review, September 9, 2013. Not every coupling of composer(s), performer and sound has to be straightforward to succeed. Pianist Susanne Kessel exemplifies that idea with her adventurous hommage . . . a Olivier Messiaen (OEHMS Classics 859). Interspersed with her piano recital on this disk are five short soundscape electro-acoustic collages by American composer Leon Milo. They are in their own way a hommage to Messiaen as well, combining sounds the composer favored in episodic interludes--with bells, birds, gongs, excerpts from his piano works transformed electronically and such. They do much to set up the solo piano performances and give us contrasting pauses in the program. 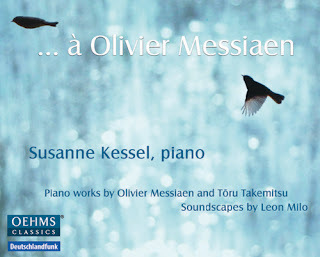 Ms. Kessel has chosen carefully seven Messiaen works and added quite appropriately Takemitsu's "Rain Tree Sketch II In Memoriam Olivier Messiaen". The Messiaen pieces span a period of 50 years beginning in 1929 and show the composer's evolution over time. Every work is a gem; not all of them have been recorded a great deal, and Susanne Kessel gives us poetic, authoritative interpretations. She captures the essence of Messiaen in ways that, compared to many earlier performances, seem virtually effortless in their flow and conversational phrasings. All the more impressive this is, since many of the works are by no means easy to play well. Listen to her versions of three of the Regards works and you may like me be amazed at her fluidity with Messiaen's complicated language. She soars where some others have remained closer to the ground. Of course Messiaen's solo piano works are among the most important, influential, and beautiful of all that were composed last century. Susanne gives you a tantalizing glimpse of why that is so, with such conviction that I for one wish she would tackle the whole corpus. I'll admit that my listening knowledge of Italian composers between Respighi and Dallapiccola, or in other words between Italian Impressionists and the 12-tone composers, is limited. That middle ground of modernism that I am missing I did begin to cover some weeks ago in the piano music of Malipiero (see posting of November 14th of this year). The period is also filled importantly by Alfredo Casella (1883-1947) and to a lesser extent, Guido Turchi (1916-2010). Since my young years I have had an old vinyl disk of Ansermet conducting Casella's "La Giara", which I like well, but I have not until now gotten around to exploring more of his music. I did take the plunge lately by requesting a review copy of the string Quartetto di Venezia playing a number of compositions by Casella and one by Turchi (Naxos 8:573019) and so my journey begins. 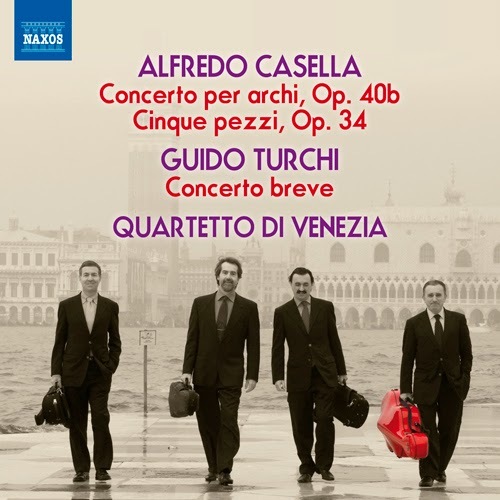 The two string quartet works by Casella appeal to me very much. The "Concerto per archi", Op. 40b and the "Cinque pezzi", Op. 34 are more-or-less the Italian equivalent of something somewhere between the expressionism of the Viennese pre-twelve-tone work of Schoenberg and his followers and Stravinsky in his neo-classic period, only they sound like Casella. These are multi-movement works with some extraordinarily brio passages, a sometimes nearly atonal tonality, compactness of movement form and some definite Italian touches here and there. The Five Pieces are somewhat less formal and work together more as a suite than a unified work. And that affords the listener with a nice contrast with the other more concerted music. Guido Turchi's "Concerto breve" has a somewhat similar trajectory from what I hear. I have had trouble burning DVDs lately off of my computer so I was unable to listen to his work at great length but it seems well constructed and fits in quite nicely with the Casella. The Quartetto di Venezia are very suited to this music and render for us performances that are spirited and sensitive. Bravo. This is one fine disk. It is giving me a good deal to absorb and appreciate. Recommended. 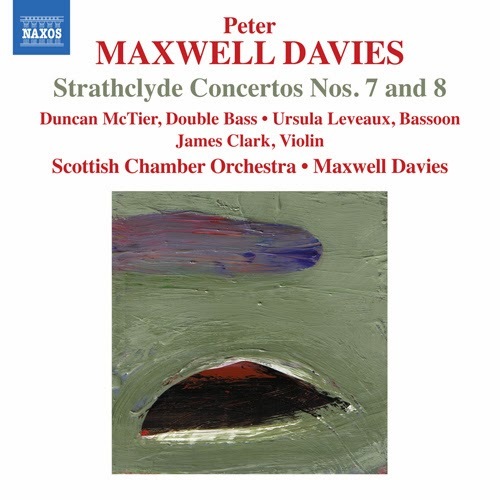 The full scope and dimension of Peter Maxwell Davies (b 1934) was unknown to me until I began sampling and appreciating the Naxos ambitious series of issues and reissues devoted to the composer's output. I now see his importance in the English modernist scheme of things, whereas before I only knew him as a performer of a few select vocal works. Today we have another, a new reissue in the series, covering his Strathclyde Concertos Nos. 7 & 8 (Naxos 8.572355) which are scored for a chamber orchestra with the soloists being double bass and bassoon, respectively. The soloists, who do a fine job, are Duncan McTier on the double bass and Ursula Leveaux on the bassoon. The works were written in 1992 and 1993. Previously I covered here Nos. 3 & 4 (see August 2, 2013), which I liked quite well. These are as well-crafted as the earlier ones, but for some reason took me more listens to get acclimated. Part of that no doubt had to do with the lower-ranged sonorities that the solo instruments belong to, the other aspect is that often Maxwell Davies scores the chamber orchestra part with more of a lower-range emphasis as well. So you hear the sort of Maxwell-Davidian hard-edged modernist flourish that you did in the earlier concertos but it sounds less brilliant in sonority. No doubt because of that the appreciation for me took a bit more time. There is a bonus work with a Scottish folk aspect, "A Spell for Green Corn, The MacDonald Dances" (1993), which is a most pleasing, rather light-hearted work. The solo part is played by James Clark on violin. It makes a nicely bright ending to the program. As the other concerto disk this one was previous released by Collins Classics in the '90s. If you want to start with one, the recording of 3 & 4 may be the more obvious choice, unless for whatever reason you would rather hear the bassoon and double bass, which are of course the more unusual protagonists in such a matchup. Or get both! Certainly you will be treated to a side of Maxwell Davies that gives as much reward back as your attentive listening puts in. Thank you Naxos for releasing this! There is music, we all know, that just by virtue of being sung properly, with lyrics that you can relate to, take on a different dimension than the instrumental equivalent. With chorus that can be especially so, since the collective aggregate gives a very human dimension to things. 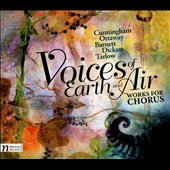 That's what I've been thinking as I have been listening to the multi-composer, multi-chorus anthology of new works, Voices of the Earth and Air (Navona 5923). Five composers of today contribute works. Six choruses divide the singing duties. Some of them are enthusiastic amateur groups, some are better known and I can only assume make some kind of a living doing this. Not all of the works are necessarily the definitive versions I can only assume, but these seem to be premiere recordings for the most part, so that's only natural. The composers are not well-known in the general sense. All have a good sense of choral possibilities, whether they work in a kind of post-modern mode, flirt with modernism, or flirt with the vernacular (blues for example), or stay close to basic song form. They are Michael G. Cunningham, Alexandra Ottaway, Carol Barnette, David Dickau, and Karen A. Tarlow. Some works are a capella, some performed with piano and/or other instruments. Michael G. Cunningham I found the most convincing, especially his four-song "Posies" and and the nine-song "Yeats Madrigals". The music and the Kuhn Mixed Choir sound especially well. So this is a lot of choral music. I found all of it worth hearing, but particularly the works by Cunningham. There are a couple of songs of winter, snow and the fact that it does pass. But this music is good for any season. Cindy McTee (b 1953) is another contemporary composer who has carved out an orchestral music of her own in the middle of the anarchic present. 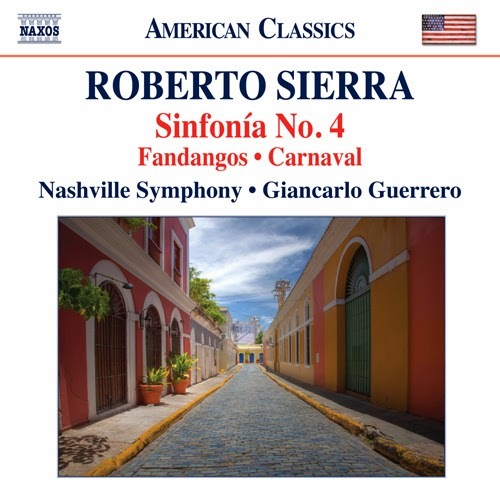 Like with Roberto Sierra (whose CD was reviewed yesterday), the present and past mingle together in very personal ways in the music presented on the new disk up today, Symphony No. 1 (Naxos 8.559765). 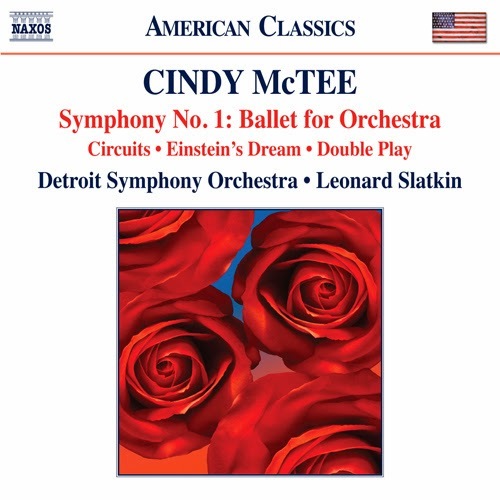 Leonard Slatkin heads up the Detroit Symphony Orchestra for this set of four McTee works, and he and the outfit once again show they are in a very fine fettle indeed. The Rachmaninov cycle (see previous posts) they are doing is virtually landmark, and now they take on some complex modern works with total conviction and sonically spectacular results. The four works give us, all but one written in the new century, a very good look at an American composer who distinguishes herself as a voice for today. "Circuits" (1990), "Symphony No. 1: Ballet for Orchestra" (2002), "Einstein's Dream" (2004) and "Double Play" (2010) are what's on the program. There is a tremendous energetic thrust at times to McTee's music. Each composition has much interest. "Einstein's Dream" with orchestra as well as computer parts, has an overtly modernistic spin to to it, and the other works bring such elements in and out of the picture as the composer weaves her magical webs and musico-narrative thrusts, but that goes to show you that Cindy McTee feels free to use as expressive means whatever she hears and sees fit to include. After all we live in a multiplex aural world where a composer (and her audience) is exposed to all manner of styles and genres, both in the air and by voluntary design. So we also hear what sounds like "crime noir" jazz, romantic and impressionistic elements, repetition for short spells and a special McTee sonic color palette that brings all the sound producing resources of the orchestra to bear on what she wishes to realize. Rather than give a blow-by-blow description of each work, I will just say that every one reaches out to the listener in its own way. As a classically trained percussionist I especially appreciate the imaginative parts she has written for that section, but there is indeed a fine balance of sections throughout, and her excellent string writing gives a foundational grounding that the wind and brass (and percussion) sections punctuate with total effective righteousness and imagination. 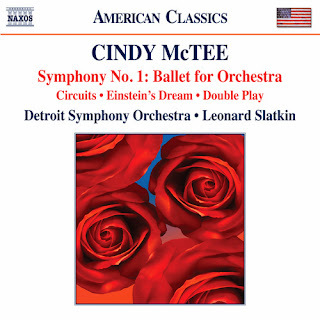 If you like the kind of stereo showcase that Bartok's "Concerto for Orchestra" gives us, Cindy McTee's music here will give you that kind of excitement in its own way. She is masterful and Maestro Slatkin brings it all to us with pretty thrilling results. Get this one, too. You cannot beat the price, so go for it! Roberto Sierra (b 1953) has a way with the orchestra and a style of his own. He was born in Puerto Rico, studied with Ligeti, teaches at Cornell and is the composer of many works that are admired and performed throughout the world today. All this is background to a new Naxos recording of three of his recent orchestral works, Fandango, Sinfonia No. 4, Carnaval (Naxos 8.559738), played with detailed care and enthusiasm by the Nashville Symphony under Giancarlo Guerrero. These later works have a pleasing multi-dimensionality, with basic thematic-harmonic material that is overlaid often by embellishments, modernistic often enough, advanced and advancing the flow of the music. 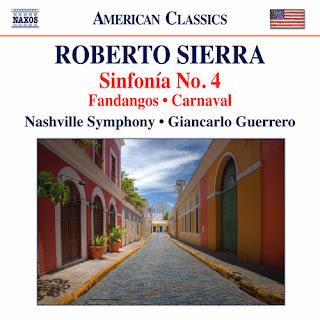 As Sierra notes in the liners the Fandango was the subject of classical treatment fairly early on in compositions by Soler, Boccherini and Domenico Scarlatti, and all three composers and their respective compositions form the basis for Sierra's own "Fandangos" (2000), a lively work with brilliantly conceived orchestral elements playing against the Fandango progression. "Sinfonia No. 4" (2008-2009) is the most ambitious of the three compositions, a full fledged four-movement work that includes a bolero and a clave influenced movement. It is a simultaneous homage to and (what he terms an) anthropophagy (cannibalistic devourment) of the classic symphonic form with Spanish/Latin elements and modernistic reassertions in a most appealing maelstrom of elements that give the work its own structure and mark Roberto Sierra at his best. The final work "Carnaval" (2007) brings five diverse movements into focus, each one devoted to a mythical creature: Gargoyles, Sphyxes, Unicorns, Dragons and the Phoenix. The music reflects in Sierra's well developed musical language the salient character of each. These are works that stand apart from the typical offerings one can hear for the orchestra in the new Millennium. They span periods and styles, Spanish idioms and classical forms and transform everything into a Sierranian landscape of kaleidoscopic fullness. Neither overtly modern nor neo-previous in their makeup, they blaze a very personal path through the summing up and summing out that often seems to be taking place right now. Sierra is important to today without taking a jarringly exceptionalist manner nor complacently adopting the old without transforming it to his own sensibilities. The Nashville Symphony under Guerrero sound perfectly nuanced and bold as needed in their reading of these works. The disk is a definite winner! Do not let this one slip by if you want to be up on the classical symphony today and the possibilities of realizing, like the Phoenix, something transformed anew from the ashes of a musical legacy or, rather plural, musical legacies. Roberto Sierra does that very, very well and so his music is all the more enchanting for it. When it comes to the French baroque, for vocal music it is hard to beat Rameau. But then there is Marc-Antoine Charpentier (1643-1704) a composer of great depth and expressivity. A court composer for Louis XIV, he was the rival of Lully for the favor of the King and the fame it could engender. This late in the game my opinion is of no account, nor would it ever would have been. 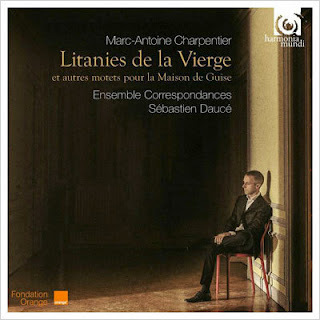 But listening to Sébastien Daucé conduct Ensemble Correspondances in a recent recording of Charpentier's Litanies De La Vierge and Motets (Harmonia Mundi 902169), I am convinced once again. It does help to hear this music gloriously performed in period style with the chamber ensemble, the authentic stringed instruments, and vocalists in the original manner, without much vibrato. Charpentier had a great inventiveness, as this music attests. I won't go into much detail here except to say that along with Rameau, there is a real sweetness to his vocal works, when performed in the proper, period-specific style. And these are impeccable, moving renditions. Charpentier may not have always had the courtly pomp of Lully, but in my opinion he is all the better for it. The result is one happy reviewer. Me. If you have an interest in the period as it played out in France, you should make a point of hearing this disk. Schubert's early symphonies are somewhat unduly neglected compared to his final works. Some are clearly classical in breadth and scope, some straddle the fence over which lies Beethovian romanticism. All were composed while Schubert was not even out of his teens. I've heard readings of them that give all a more-or-less Beethovenian blast, others that sound like they were written (as they were) for a modest ensemble without special technical polish. 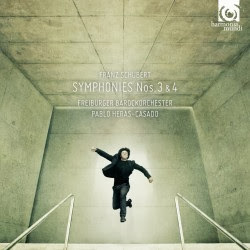 The Freiburger Barockorchester under Pablo Heras-Casado give us renditions of his Symphonies Nos. 3 & 4 (Harmonia Mundi 902154) that have all the authentic brio of a crack classical period orchestra of modest size yet also as appropriate bring in some of the Beethovian elements in Symphony No. 4 as suggested by the "Tragic" thematic material. None of the early symphonies were heard by Schubert (or anyone else) during his lifetime, which is tragedy enough. Yet they have real eloquence, including plenty of lyric and dramatic elements worthy of Schubert's genius. Heras-Casado and the Freiburger organization give the music stateliness and stature as called for, passion in good measure and well-balanced directness consistently. They neither over- nor underplay them but find the right balance for each. These are versions that have the ring of authenticity. I still have several on vinyl, some well-regarded at the time of their release, but they do not satisfy me as these versions do. I hope Heras-Casado and the Freiburger Barockorchester go on to do the whole cycle. They seem perfectly suited to bring out the brilliance of the younger Schubert and I'll bet would give us insightful readings of the later symphonies as well. Charles-Valentin Alkan (1813-1888) shot like a meteor through Europe as a brilliant virtuoso on the piano in his younger years, then abruptly disappeared from the public eye. His was a tortured soul and he no longer wished to concertize. He continued to compose, however, leaving behind him at his death a body of works for the piano that are alternatingly heart rendingly lyrical and explosively virtuosic. His fate was to leave this earth unrecognized. But as time passes, sometimes genius overcomes obscurity. In the late '60s-early '70s his music began to be heard through the championship of Raymond Lewenthal and others. Recordings appeared. I for one discovered his music in this way sometime in the mid-'70s and have revelled in it ever since. He was like Franz Liszt a Promethean composer of enormous pianistic difficulty from the technical side. He left no school of followers versed by the master in the intricacies of performance. He had to be learned anew. The fact that his music is at times romantic yet entirely idiosyncratic meant that mastering his music was an enormous task. And like the Bartok String Quartets (as I mentioned last month) it may be that it has taken a number of years for the Alkan piano oeuvre to become "normalized", readily understood if only by a few select pianists. If that is so Pascal Amoyel is surely one. His CD of Alkan's Oeuvres Pour Piano (la dolce volta 11) gives us a wonderful collection of some of the Master's works played with the passion and sensitivity of one who really understands the "inner" Alkan, to my mind. Five major works appear on the disk, including the monumental "Grande Sonate, op. 33 'Les 4 ages'". The music is entirely brilliant, some of the very best Alkan you can hear. Maestro Amoyel has chosen wisely and carefully so that the most tender of the lyrical side of Charles-Valentin is on display as well as the tempestuous virtuoso side. Pascal Amoyel handles both sides with an extraordinary musicality and sensitivity to nuance that I must say it is almost like hearing Alkan for the first time. Every part has its place in the whole; the whole comes through with glowing clarity and totally appropriate expressivity. 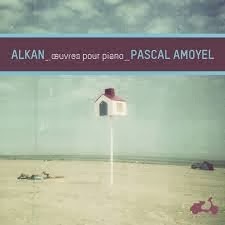 If there is a somewhat eccentric side to Alkan, Amoyel makes it speak with total lucidity, gives it an inevitability, an affectionate familiarity, makes it understandable for anyone who listens attentively. And so far as the more recognizably Jewish strains of Alkan's music, no one understands how that fits in better than Maestro Amoyel. Several listens made that all clear to me. Several more confirmed it. This is a milestone in the Alkan discography. I know of no better performances of these works. For those who do not know Alkan, here indeed is where to start. For those that do, here is where it all comes together. I hope this recording will do much to convince listeners of Alkan's genius. He was extraordinary and Pascal Amoyel makes the most convincing case I've heard why that is so. Anyone serious about "serious" music should have at least one disk of Johann Sebastian Bach's harpsichord works. But which one? There are the Well Tempered Clavier Preludes and Fugues, but there are many of them, all worthwhile to say the least, but they fill out a fair number of disks. The Two-and Three-Part Inventions are wonderful, but do not provide a full picture of the more virtuoso side of Bach's keyboard works. 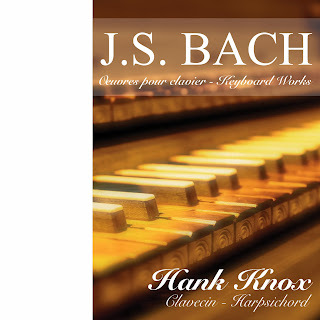 Well those certainly should be in anyone's library, but as a starter disk, you are doing yourself a good turn if you consider Hank Knox's recent recording Oeuvres pour clavier/Keyboard Works (early-music.com 7775). It has a good variety of works--those composed out of his well-admired improvisations and those conceived in his head away from the keyboard. There is a good amount of the fugal-contrapuntal style by which Bach continues to astonish, and also moments where there is attention to less complicatedly contrapuntal and more chordal-melodic expression, relatively speaking. It's a nice introduction to the Master, played with appropriate bravura by Hank Knox, who teaches in the Early Music program at McGill University and has concertized extensively on the harpsichord throughout the world for many years. You get a "Ricercar a3" from Bach's stunning Musical Offering, the "Overture in the French Manner", the "Chromatic Fantasy and Fugue", BMV 903, and several other gems. This is a great place to start if you don't have Bach solo keyboard music in your head as yet. However it also is a pleasing performance and a pleasing programming sequence so that anyone who loves the music will gain a version of these works that glows with authenticity and great spirit. 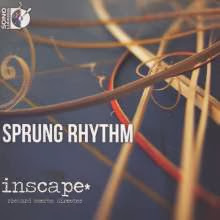 New American composers with voices of their own is the focus of Sprung Rhythm (Sono Luminus 92170) brought to you by Inscape*, a chamber orchestra ensemble under the direction of Richard Scerbo. As no doubt may be familiar to readers of this blog the composers' names will probably be unfamiliar. They are the newest of the new, I suppose you could say, but they all have something good to offer. They are Nathan Lincoln-De Cusatis, Joseph Hallman and Justin Boyer. As is mostly the case with Sono Luminus releases, there is a two-channel CD plus a 5:1 surround Blu-ray Disk. The Blu-ray duplicates the CD program plus adds an additional work by Justin Boyer. (I do not have a Blu-ray player so was unable to hear this bonus work). Otherwise there are five works represented: "A Collection of Sand" and "Chopin Syndrome" by Lincoln-DeCusatis, "Three Poems of Jessica Hornik" and "Imagined Landscapes: Six Lovecraftian Elsewheres" by Joseph Hallman, and "Con Slancio" by Justin Boyer. First things first. The sound and performances are exemplary. The audio is sparklingly clear and Inscape* performs with musical directness and considerable skill. Then the works themselves... each one has character and a chamber modernity that has a tonal basis without opting for primality and a rhythmic quality that is mostly quite lively. The influence of Stravinsky can sometimes be felt in that wise. And at the same time there is more a neo-classical feel to the music certainly than the neo-romantic. But that makes the program all that more enjoyable since it is so well done. Soprano Abigail Lennox's performance on "Three Poems of Jessica Hornik" is superlative and a definite high point of the disk. Rather than to go into details on the works in any depth at this point I will just say that this is music that is so well-crafted and well-performed that virtually anyone who likes the idea of new music will respond favorably. It's a joy to hear this disk! Sometimes a piece of music and your own current mood are at geometric or logical opposites. In some cases that means you are playing the wrong music; at other times the music brings you to a different place and that is a very good thing. Today's music is of the latter variety. It is a 25 minute piece by Rick Cox, which he has entitled Fade (Cold Blue 0020). It is very open and spatial, calm and eternal, whereas my own mood is not, thanks in part to the trajectory of my life right now. So in fact I welcome the mood the music takes me, by my own willy-nilly surrender to it. Cox's work features himself on a very ethereal electric guitar, Thomas Newman on piano, and Peter Freeman on bass and signal processors. Soundscapes of this sort can be busy and climactical, or they can flow like some natural process, a gentle wind across a plain, for example. 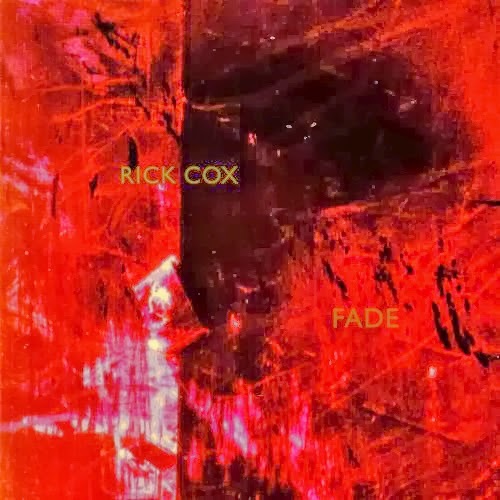 Cox's combination of gradually evolving enveloped guitar notes and chords, bass tone envelopes, and isolated piano soundings emerging from a tonally sustained landscape has that natural flow and a more processual unfolding than it has punctuated discrete sonic events. There are no jagged angles as much as gradual curvatures and singular directions. The result is like a dream of floating in space, like a space walk, slowly drifting in an endless sea of nothingness with no set destination. It is extraordinarily spatial in that way, very calming but filled with sonic interest. There is nothing programmatic as there might be in a New Age work that aims at the same effect. Here the musical ambience precedes the mood inducement. It is first and foremost a poem of tonal color. And an excellent one at that. 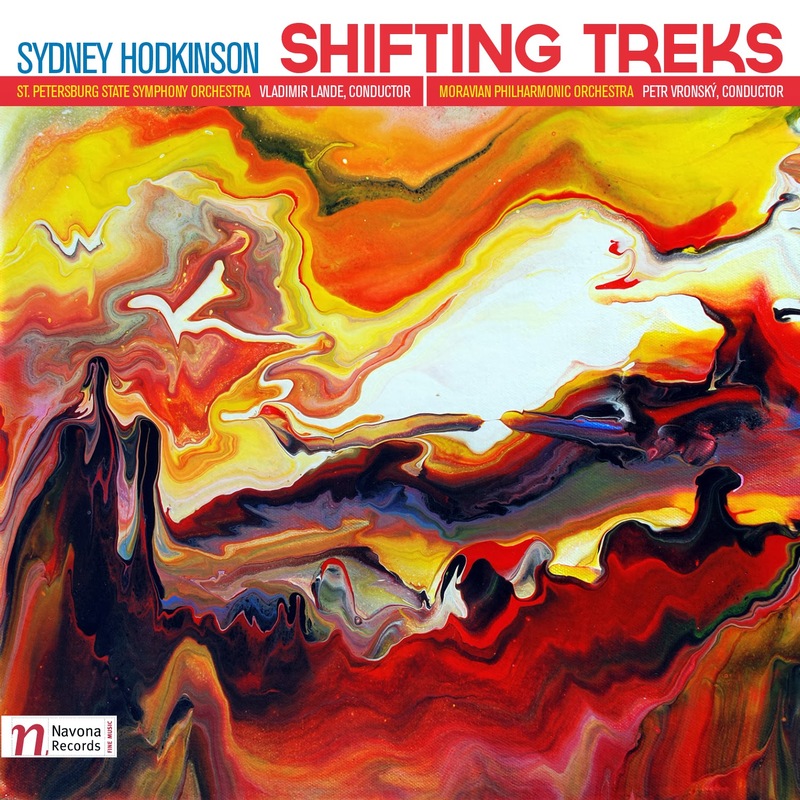 Now I have the feeling I've encountered composer Sydney Hodkinson before, but if so I cannot recall where. He has written over 250 works. Carter, Sessions, Britten, and Finney according to the press sheet are some of his major influences. He taught at Eastman where he was the director of Musica Nova, and otherwise seems to have been pretty ubiquitous out there. The new release of three of his large-scale orchestral works, Shifting Treks (Navona 5922), makes it clear that Hodkinson is a mature voice of very real distinction, a modernist who by this point follows his own muse. Of the three works two are performed by the St. Petersburg State Symphony Orchestra under Vladimir Lande, the title work by the Moravian Philharmonic under Petr Vronsky. Both orchestras sound very good and give us readings of Hodkinson's music that provide all the fullness and impact needed to do him justice. The three works cover a variety of moods with a vivid orchestrational flair. "Epitaphion" has an elegiac mysteriousness. "Potpourri: 11 Very Short Works" runs the gamut from an orchestral equivalent of a children's game to spatio-cosmic flight. But the excellent title work "Piano Concerto No. 1: A Shifting Trek" especially stands out. Here Hodkinson brings a very eloquently expressed modernist soundscape to bear against a piano part that has genuine character, played with elan by Barry Snyder. There is an energy at times to this music which is virtually unparalleled among American composers of the present. It is a showcase for all concerned and sounds great on my stereo too! Here is a composer who projects his musical self outwards with a very personal yet very much contemporary expression. He has much to say and in the saying brings some very exciting, beautifully crafted orchestral music to our senses. If you love the monumental potential of orchestral music written today, this one is going to give you a good deal of pleasure. Bravo! None but the most pronounced of Russophiles here in the States are likely to know composer Alexander Dargomyzhsky (1813-1869) and his opera Rusalka (Brilliant Classics 2CD 94718). That is now easily remedied with the release of a budget-priced 2-CD of the opera with Vladimir Fedoseyev conducting the Grand Choir of the USSR Radio and TV and the Tchaikovsky Symphony Orchestra of Moscow Radio. Judging from its provence this must have been a Melodiya boxed set at one point. The soloists are Alexander Vedernikov, Natalia Mikhailova, Konstantin Pluzhnikov and Galina Pisarenko. The bass of Vedernikov as the Miller is especially good. Chaliapin he is not quite but he is nonetheless wonderful in his dramatically expressive portrayal. The libretto is based on a poem by Pushkin. It's all about the love between a Prince and a Miller's daughter, which in the class system of the time could not be. The Prince marries another more suited to his station, regrets it and in the end drowns in his attempt to find his beloved who has turned to a mermaid. The Brilliant set does not include a full libretto, which is a shame, but the music is so good that one overlooks it after a spin or two. Dargomyzhsky is a cross between a kind of Russian Rossini and a precursor to Mussorgsky in the lyrical and melodic memorability of the music and its sometimes folksy quality. The performances excellent, the sound very good and the music a real find for those like me who had not heard the opera previously. If you follow the history of the Russian classical style this one is hands-down a must. Modern chamber music is something that tends to please by most being itself. Partially because of the way larger ensemble concert situations favor the peppering of modern works throughout the course of a subscription season, whereas chamber ensembles can assume a more discerning audience and may offer the modern in more concentrated form, modern chamber music works can tend to cluster together in larger blocks in the concert situation. That is just an impression, but I do believe the chamber music audience has more committed listeners as their average gathering, so programmers-ensembles can assume they will be more exploratory by nature, more open to the new. And with that in mind the modern chamber anthology Perceptions: Points of View for Small Ensemble (Navona 5909) can be understood as appealing to such an audience by giving them a goodly portion of the new. In it we hear six works by six less-known but none-the-less competent composers. Each has a modern or a post-modern point of view of their own and brings it out in creative ways. Kevin McCarter's work, "Above the Clouds" for violin and piano, has a rhapsodic tonal quality that is enchanting. The other composers either stay in an expanded tonality/ modern zone or flirt with post-modern tonality and engage it as a contrast to the more expanded style. Understandably the shadings of sound color tend to be more pastel and brilliant than charcoal grey, fitting the style. 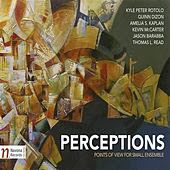 The others represented and their works are: Kyle Peter Rotolo and his String Quartet No. 1 "Macchiato", Quinn Dizon's "Awakening" for violin, viola, cello and piano, Amelia S. Kaplan's "Insolence" for violin and piano, Jason Barabba's "Rhetorical Devices" for violin and piano, and Thomas L. Read's "Capricci" for classical guitar and string quartet. The totality of the anthology and the diverse group of composers go together certainly in their well-crafted, adventuresome approaches. None of the works are quite avant garde so much as they build inside a tradition of modern 20th century American music, never overtly conservative nor overtly groundbreaking so much as concerned with expression, dynamics, and a lingering lyrical quality at times. In the end we get a very engaging program of music that does not condescend and reveals itself with a proper number of listens. It's all quite good and the performances live up to the promise of the compositions. Recommended. When I was but a lad, with visions of sugar plums dancing in my head (well actually, no, even in my halcyon days sugar plums were not in the picture. I've never seen one, then or now. . .) my dad had an LP of Tchaikovsky's Nutcracker Suite, a budget version with a less-than-stellar performance, but good enough to get the music across. It was at that point the only classical record my parents both liked and it found its way onto the hi-fi that was my dad's delight, and mine, too. It was a part of the holiday record rotation around the house, and I sure fell under its spell. 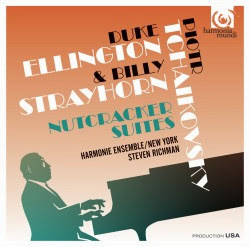 By the time I was somewhere in mid-adolescence my friend brought over a copy of the Duke Ellington organization doing the Ellington/Strayhorn version of the Suite. That sure sounded good to me, too. Steven Richman and the Harmonie Ensemble/New York had a great idea to do both versions and put in onto one CD (Harmonia Mundi 907493). And so there's the release out there this season for the first time and I've been listening. It's very good on both counts. The classical, original orchestral version is performed with plenty of spirit and pep, as good a version as you'd ask for. And the Ellington/Strayhorn version has an authentic ring to it. The band and soloists are totally into the late '50s Duke style and give it all they've got. Now of course the original Duke version has the edge over this performance. Surprisingly though Richman comes very close. Of course the advantage with this release is that you get both versions in totally idiomatic renditions. So I don't think you need hesitate if this combination sounds good to you. I will certainly be playing it over the holidays and, if the fates are kind, in holiday seasons to come. So Season's Greetings to you all!! Those who came across from Europe to America brought their Christmas carols with them. In the years that followed composers and hymnists created others. 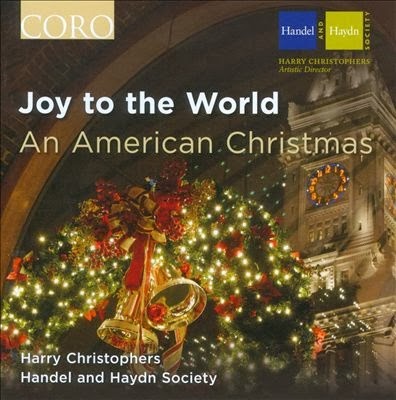 It is to this body of tradition that Harry Christophers and the choir of the Handel and Haydn Society turn on Joy to the World, An American Christmas (Coro 16117). It is quite fitting given that the Society celebrates its 200th anniversary this year. The s-a-t-b choir has been a part of American celebrations as far back as you care to go. The US doesn't have boy choirs much, like England and Vienna. But the acapella mixed choir is a staple of Christmas carols here. When I was a kid the Robert Shaw Chorale had a best-selling album that mixed the more obscure older songs with the standard fare. Christophers and the Society certainly come through with beautiful sonics that remind me of the Shaw disk, actually surpass it since the technology is more up to the task today and the choir is an excellent one. Christophers savors each with often leisurely tempos that invite reflection. The choice of carols is especially fine, giving us the all-familiar in the title song and "Carol of the Bells". But then the very venerable and/or sometimes lesser-known carols get plenty of attention. There's one by Charles Ives, Holst's "In the bleak midwinter", two versions of "In dulci jubilo", the alternate Protestant American melody to "O little Town of Bethlehem" as well as the traditional one, the old folk song "I Wonder as I Wander", and so forth. There is enough of the more obscure with the familiar that it gives you the full tradition without stinting, something your ears can grow into over time. The choir sounds ravishing. It can be a fulcrum point for holiday reveries, to give you a feeling of time both passing and never passing. Highly recommended. There are composers that at least Stateside many have heard little of. We don't always have the chance to hear them. They are names whose music remains hidden to us unless we take the trouble to search out the releases. 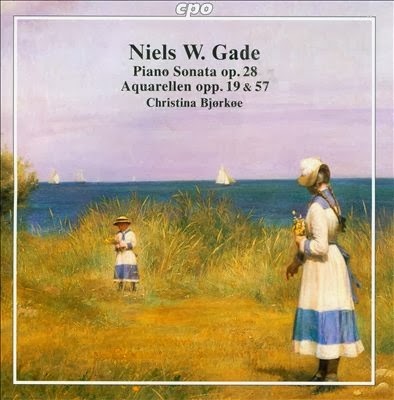 Niels W. Gade (1817-1890), Danish romantic, would qualify as one of them. In his lifetime he was well admired by the likes of such luminaries as Mendelssohn and the Schumanns. He is a musical voice that's surely worth our scrutiny. But not often heard here these days. Christina Bjorkoe has recently released a disk of his solo Piano Works (CPO 777 628-2) that helps us flesh out the composer's more intimate side. (There are also symphonies, concertos and etc., but another time for that.) The disk contains beautifully sympathetic performances of two major Gade works, his "Piano Sonata" op. 28 and the "Aquarellen" opp. 19 & 57. The latter come to us in the form of 15 short movements written over a number of years. Both works have a singingly inventive quality that sparkles with originality and warmth. Ms. Bjorkoe brings to the music a pristine touch, excellent technique and a sense of phrasing that teases out the lyrical clarity in all its complexity. These are piano works as fine as virtually anything written in the era. And we have a chance to hear them now with performances that shine with the sunlight they contain in abundance. Listen to this one by all means! 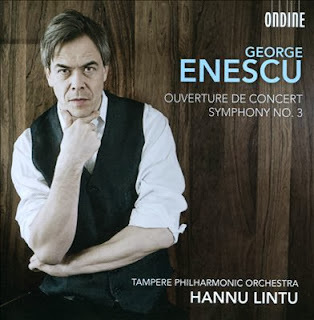 Like many of my generation I first encountered the music of George Enescu (1881-1955) on Ravi Shankar and Yehudi Menuhin's ground-breaking original East Meets West in 1966. One side had Shankar compositions, the other a sonata for violin and piano by Enescu. From then on I was interested in whatever Enescu had done. I've picked some nice things up on my way through life but never the program just made available as performed by conductor Hannu Lintu and the Tampere Philharmonic Orchestra, namely Enescu's Ouverture de Concert and his Symphony No. 3 (Ondine 1197-2). This one brings us to an Enescu we (or rather I) knew little about--the later, evolved composer for orchestra. Both works have much to offer the attentive listener. The "Ouverture de concert sur des themes dans le caractere populaire roumain," op. 32, as the title makes clear, brings us to Romanian folk territory, but of course not in some unmediated way, but rather with all the compositional syntheses and developments one might expect from the composer. It is short, over all-too-soon within ten minutes. We are compensated by the lengthy and accomplished "Symphony No. 3," op. 21. As the liner notes suggest clearly, Enescu experiments with musical structure by combining sonata form with endless transformations-variations on specific thematic elements. I don't suspect the ordinary listening ear picks up on this technique while experiencing the symphony as it unravels, unless one knows to watch for the developments, score-in-hand. But it is as a building that contains supports. You don't have to know where the supports are to appreciate the building's beauty. I didn't experience it in my listening anyway, except to feel like the music was springing from an endless font of invention. This I am sure was as the composer wished. It is a work of a ravishing sort, not especially Romanian sounding as much as universally expressive, a heightened, well-woven, late romantic work of great character. Hannu Lintu (who we encountered yesterday on his Ligeti disk) conducts the Tampere Philharmonic with excellent results for both works. Anyone with an interest in Romanian/Eastern European symphonists should not miss it. But it will sound well no matter what your background, I should think. This is a side of Enescu that should not be missed. There are times when I realize that I have not paid enough attention to a particular composer. This is one of those times. Gyorgy Ligeti (1923-2006) was a significant voice in modern music. In part because for a while I listened to the principal Darmstadt School of composers of his era more than others, I unthinkingly passed him by for the most part. Now listening to the four works in a new anthology by Hannu Lintu and the Finnish Radio Symphony Orchestra, with Benjamin Schmid as violin soloist as called for (Ondine 1213-2), I am pleased yet startled. Startled because the music is so excellent and the performances riveting. And pleased for the same reason. There are four symphonic works represented here, covering a long time span between 1961 and 1993. The Violin Concerto (1989-1993) is in many ways the centerpiece, a masterwork of sound color played with energy and grace by Schmid and the Danish congregation. Ligeti shows as elsewhere a thoroughgoing mastery of the forces available to him, creating a sustained landscape of sound color with an excellent sense of drama and impact. Ligeti makes the orchestra anew with a brilliant sense of how to create a sound-with-sound dialog between violin and large group. Schmid sounds perfect in the part. And that's only the start, because equally enthralling and innovative are the other three works, "Lontano" (1967), "Atmospheres" (1961) and "San Francisco Polyphony" (1974). Like Xenakis and early Penderecki he seeks to create a music outside the tonal framework but also often outside the traditional line-building, note-specific ways we are taught to listen to orchestral or other classical music. This is about sound masses, soundscapes of contrasting colors and clusters, the effect of the whole as much as the impact of the parts. He was, now that we look back, one of the first soundscape artists and certainly one of the great ones. This has the timbral contrasts of the electronic music of the era, yet it is all accomplished via acoustic real-time performance. The final effect contrasts with the electronic music of the times because these are acoustic instruments and so give out a different wave energy as Ligeti conceives it all. The flow from sound-station to sound-station is virtually breathtaking. It's not music that sounds (to me) jarring as much as it sounds otherworldly. Lintu and the Finnish Radio Symphony Orchestra, with or without violinist Schmid, bring this music to life in the most sympathetic ways. Highly recommended. It may be that because composer John Corigliano has created his impressive body of works while I have been in the course of my everyday life, for that reason I have not yet had a chance to follow the flow of musical ideas in a chronological sense, and to come up in my head with a synthesis of what he is about. But in any event he strikes me as a composer of multi-stylistic tendencies. The music always has a modern slant in one way or another, but the spectrum of stylistic avenues his music can travel is wide, and the music always seems to me brilliantly crafted. The new disk devoted to two of his works, in world premiere recordings, are fine examples of the unfolding adventure that is Corigliano. It gives us definitive first looks at Conjurer and Vocalise (Naxos 8.559757). Conjurer, subtitled Concerto for Percussionist and String Orchestra with Optional Brass (2007), is performed by the Albany Symphony under David Alan Miller, with Dame Evelyn Glennie as percussion soloist. It is a rather captivating work that takes advantage of Glennie's subtle, nuanced manner with the many instruments she is called upon to play. It is a work of space and sound color, with judicious use of the orchestra to expand the impact of the percussion part and comment on it in a classic give-and-take dialog. These moments are offset often enough by quietude surrounding the percussion cadenzas. There are dramatic climaxes that punctuate the entire work, give structure through periodic envelopes that end in sound cadences involving color intensities rather than harmonic resolve. It's a highly charged, highly effective work. Glennie and the orchestra do it the justice it deserves. Vocalise (1999) shifts gears to feature soprano Hila Plitmann and an electronic, audio engineering sort of part produced by Mark Baechle. This was a piece commissioned by then New York Philharmonic director Kurt Masur. Corigliano was instructed to write a work that would give the audience a specific message to contemplate on the eve of the Millenium. 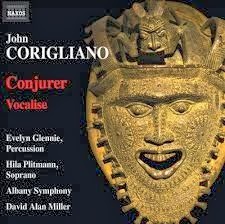 Corigliano conceived of a work for soprano, orchestra and electronic manipulation/amplification of the vocal part by an electronics "operator", as it were, following directions in the score. It all works together to create yet another high-drama sound color essay in a more highly charged, less Zen-like atmosphere than we hear in Conjurer. So the contrast is a lively one. The two works complement and give us two excellent examples of later Corigliano. He is surely one of the major lights in the contemporary musical firmament and the Naxos disk gives us two major reasons why that is so. The performances are beautiful, the soloists wonderful, and all makes for an exemplary experience of what's modern about today's modern music. Highly recommended. Paul Hindemith (1895-1963) occupied an important middle-ground among composers of the modern stamp. He early on shed romantic excess for his own brand of neo-classicism, writing spirited works with a logical unfolding and a totally personal harmonic-melodic approach that extended tonality to suit his own expressivity and pushed it at times to its very limits. A contrapuntal weave of voices and forward momentum rhythmically were very much a part of his style. 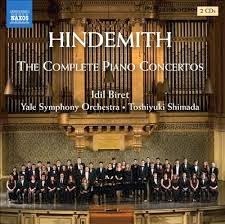 Pianist Idil Biret and the Yale Symphony Orchestra under Toshiyuki Shimada give us (in two CDs) The Compete Piano Concertos (Naxos 8.573201-02) of Hindemith. Five complete works in all are involved, ranging from the 1923 Piano Music with Orchestra (for Piano Left Hand), op 29, the 1924 Chamber Music No. 2 for Piano, Quartet and Brass, op. 36, No. 1, the 1930 Concert Music for Piano, Brass and Two Harps, op 49, Theme with Four Variations (The Four Temperaments) for Piano and Strings (1940), and the Concerto for Piano and Orchestra (1945). All of these works are first-rate Hindemith, though they do not always have a super-virtuoso piano part. The writing for the piano is intricate and totally idiomatic throughout, however, and Idil Biret is an ideal exponent. A big surprise is the undergraduate Yale Symphony Orchestra under Shimada. They play their parts as if they were born to them, with the needed elan that a Hindemith performance stands or falls upon. Their youthful zeal comes through wonderfully. Clearly they are confirmed Hindemithians! Of course Hindemith taught at Yale when he managed to escape from the Nazi regime and became an important figure in the American musico-cultural life. So the orchestra plays the music rightfully as something that forms a part of their heritage. Perhaps the biggest surprise of all is the Piano Music with Orchestra (for Piano Left Hand) which was commissioned by pianist Paul Wittgenstein, a virtuoso of note who had lost his right arm in WWI. The Hindemith piece was a part of his attempt to resume his career, then as a left-handed only pianist. He also commissioned Ravel to write a concerto, which has been well-established in the repertory for many years. The Prokofiev and Hindemith works Wittgenstein ordered were not to his liking, so they essentially sat in limbo, unperformed. The Hindemith work was only discovered in 2001 on the death of Wittgenstein's widow, so it is something new to me (and no doubt many others), a beautiful work. Then too all of this is excellent, a righteous melding of the right scores with the right performers. It is a treasure-trove of Hindemith at his best, something someone new to the composer will find an excellent introduction, and the confirmed Hindemithian will greet with no small amount of joy. That's how I feel. Minimalism proper, that form which creates regular patterns to repeat with overlays of changing music and/or shifts in the pattern itself, is still very much with us. 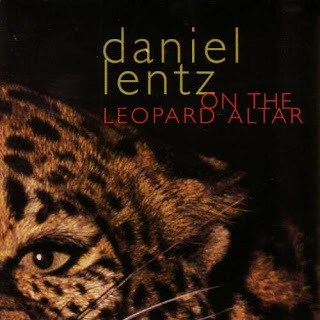 Daniel Lentz, one of the better known of the lesser known composers, gives us a good, varied look at his music in On the Leopard Altar (Cold Blue 0022). To be hair splitting, only the first and fourth piece of the five have overt minimalist qualities. "Is it Love" creates out of keys and a small vocal ensemble a fascinating mix. The keys play a series of patterns in a constant interplay of continuously sounded staccato eighth notes. The vocalists form a choir of ever differing staccato patterns through a process of subtraction (according to the liners) produced in hocket style. "Wolf is Dead" has a similar trajectory, but the vocal parts are less dense and hocket less used in favor of at times a contrapuntal approach. It may not perhaps be as striking as the first piece, but has much about it that keeps the attention focused. "Lascaux" is to me the most interesting of the more soundscaped works included here. It uses wineglasses and keyboards to create a very beautiful panorama that shimmers with overtones like ever reverberating bells in a dream. 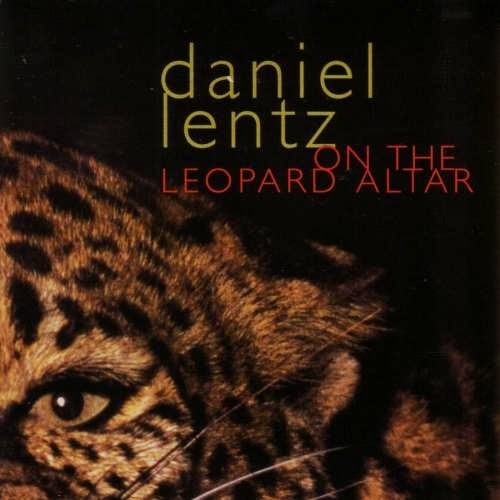 "On the Leopard Altar" has a singular vocal line sung by first one soprano, then several to the accompaniment of keys. This one too has a dreamy sound but with more of a leider quality to it. There is a very lyrical side to Lentz when he wants to go that way and this is a great example. The final, short "Requiem" work combines bell-like sounds with a vocal part that sounds as if a single voice is singing in the middle of a great cathedral and you the listener are experiencing the sound of the voice and the resonance of the cathedral in equal proportions. So Daniel Lentz gives us two pattern pieces and three pieces more in the through composed, soundscaped, radical tonality vein. Those latter three have great lyrical beauty. 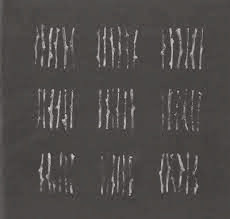 The pattern pieces remind us that Lentz makes his own way through the Reich-Glass influence so prevalent in the minimalist genre and sounds out a personal path with its own route through the thickets. It's a captivating set of pieces that I certainly find of real interest. You may gravitate to them as well. You get a series of spaces to dwell in for a time, relaxing and giving lyrical pleasure. Recommended. I am glad to discover music otherwise unknown to me if it is worth the listen. The composer Gian Francesco Malipiero (1882-1973) definitely qualifies in that regard, specifically in his Piano Works (Newton Classics 880 2199) as recorded by pianist Gino Gorini. The composer was born in Venice and lived most of his life in Italy. That he had a long and productive composing career is attested to in this collection of works spanning the period from 1916 to 1959. The works represented give you a very good idea of his stylistic range. He is harmonically modern in an expanded tonal vein. There are impressionistic touches along with late-romantic expressiveness and sometimes neo-classical structural aspects, but his inventiveness shows an original musical mind at work and a thoroughly contemporary sense. Ravel, Stravinsky, Hindemith, Scriabin come to mind as composers he shares something with, but always in his own terms and not in any imitative sense. Gino Gorini gives us wonderfully poetic readings of the works and an excellent sense of logic and form in his emphases of phrasings in any given piece. 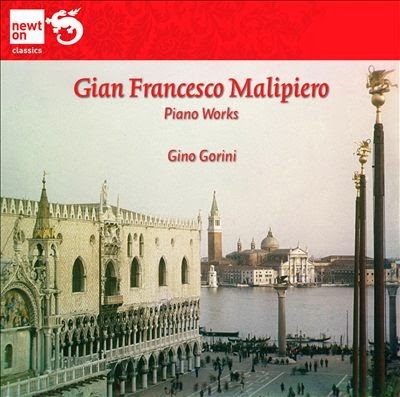 In short Malipiero as composer for the piano is a real discovery (at least for me). He has brilliance and Gino Gorini brings it all to us in fine form. Highly recommended. I love a harp well-played. In fact, to adopt an old Coca-Cola slogan from my youth, to me things go better with harp. I could probably listen to the "Howdy Doody" Theme Song and like it if it were played properly on the instrument. 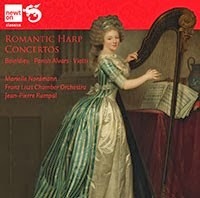 So the new release Romantic Harp Concertos (Newton Classics 8802205) is right up my alley. Marielle Nordmann is the harp soloist and she is very good. Jean-Pierre Rampal conducts the Franz Liszt Chamber Orchestra in a nicely wrought way for the orchestral accompaniment. Needless to say, this music is many leagues above the "Howdy Doodie" Theme Song. We get two major concertos, one each by Boieldieu (1775-1834) and Parish Alvars (1808-1849), and and a single movement from Viotti's (1755-1824) "Violin Concerto No. 19," as arranged for harp and orchestra by Nordmann. I've had a rendition of the Boieldieu for many years as released on LP in the early '60s. It was quite serviceable but the version here is sonically and musically superior. The work has a particularly fine final movement in minor that has a very attractive theme for harp. The Parish Alvars and the Viotti works are new to me. They do not seem quite as vital as the Boieldieu but they are wonderful to listen to for the engaging harp parts and Nordmann's talented way with them. The music has a compactness typical of the late-classical, early-romantic period. Each movement has an autonomy that nevertheless works together with the others in all the ways you would expect. And there are some remarkable solo passages for the harp throughout. Maestro Rampal does it all justice. In short this is a highly engaging set, very nice to hear. If you love the harp it will give you what you want. Even if you don't these are works that deserve the light of day and our listening time. Prokofiev has long been a favorite of mine. No other composer of his century quite managed, at least in his early-to-mid-period, to have such supreme melodic gifts yet also be imbued thoroughly with the spirit of modernism...and create such a tempestuous energy level in his best works at the same time. My principal composition teacher was of the opinion that Prokofiev was a mere distillation of Stravinsky, but I don't think he listed closely enough. Sure, they are related in their Russian qualities and modern outlook, but not at all clones. Like Beethoven and Schubert, they belong together in an overall ethos sense, but one who knows wouldn't confuse the two. There is brilliance in both far above their similarities. The same could be said for Stravinsky and Prokofiev. The Prokofievian singularity can be heard to great advantage in his Symphony No. 4 and his ballet The Prodigal Son (Naxos 8.573186), which belong together as thematically-stylistically related. Marin Alsop conducts the Sao Paulo Symphony in this well conceived disk. Following their earlier, excellent performance of Symphony No. 5 (type it in the search box for my review), Alsop and the Sao Paulo organization come up with a beautiful, thoroughly idiomatic reading of the two works represented here. 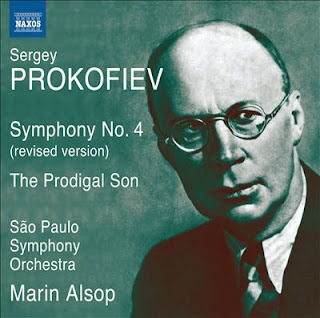 Prokofiev's Fourth has often been overshadowed by his Fifth, with its WWII angst and agitation, yet the Fourth is a beautiful work in every way, fully worthy of attention for its Prokofievian charms, its nearly heartbreaking bitter-sweet melodies, its dance-like rhythmic insistence, its ravishing orchestration. The Prodigal Son is a full ballet that the symphony is based upon, so what is true of one is perforce true of the other in slightly different ways. Alsop and the Sao Paulo Symphony give performances very faithful to Prokofiev's vision. Detailed, both lyrical and hard-edged when needed, playful in an ambiguously sarcastic sort of way, as good as any performance I have heard. This is the revised version of the symphony, which Prokofiev came back to and reworked slightly later on. I believe that is the version most often played historically, since it seems eminently familiar to me from the vinyl versions I have listened to over the years. You can do no better than these readings. Alsop knows her Prokofiev and the Sao Paulo outfit comes through with a beautiful and energetic performance that leaves little to be desired. Considering also the Naxos price, you can not do wrong with this one! Seminal Prokofiev, played with all the attention to detail, passion and fire you could want! There is no doubt in my mind; the Alexander String Quartet is a crack outfit. 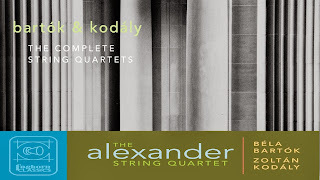 Their Bartok & Kodaly, The Complete String Quartets, a 3-CD set (Foghorn Classics 2009), makes that clear. Now of course Bartok's quartets are just about universally considered among the very best, the most involved string quartets in the literature. Along with Beethoven's late quartets and the quartets of Elliot Carter they give us a rare realm of pure music at a level that is rarely reached by anybody. Yet when Bartok first came to America his music wasn't all that well-known. Zoltan Kodaly, fellow Hungarian and associate, was perhaps even lesser known here. All that has changed of course. Kodaly's two quartets may not quite have the sublimity of Bartok's, but they are by no means out of place alongside Bela's masterpieces. So it is nice to have them all on one three-disk set. More than nice, though, because they are excellent performances. 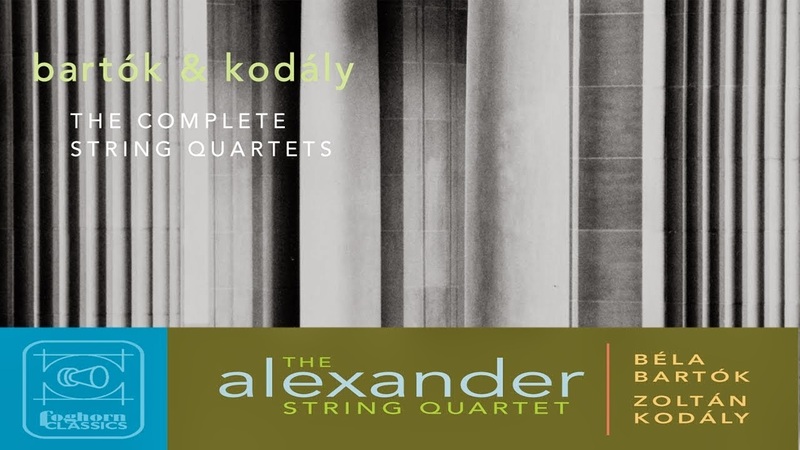 I must say I am not very familiar with the Kodaly works (until now) but the Bartok quartets I have listened to all my adult life. I had various versions beginning in music school, but I ended up with the complete opus on LP as played by the Julliard Quartet. The works are complicated enough that it takes many listens to fully absorb the intricacies. The Julliard group did a fine job with them, but sometimes they seemed almost too brio, possessed. The Alexander Quartet sustains a fine balance between brio and intelligibility, and perhaps also in part because I listened intently again after a few years in between, but after hearing the Alexander versions a number of times I feel that the prosaic-poetic fluidity that may have evaded my musical ear has come together at last. These are not simple works. By now well into the new Millennium, both performers and listeners have grown up with the music and can make better sense of it than when the corpus was still so new. So my ears may be growing as are those who tackle the set for themselves, but also I think it's clear that the Alexander Quartet really understand the works and phrase them all in terms of the inner musical logic, in part because by now the modern idiom is no longer only semi-comprehensible when operating at such a high level, but also that the Alexander Quartet have really gotten inside the works and by now for them they seem like an extension of self, second nature. At any rate that's how good these performances are. The Alexander Quartet make the Bartok cycle seem inevitable, natural. That is saying something. They have great spirit in the performance of all these works. But the Bartok especially is as good as it gets. I don't imagine I need say any more. These are outstanding versions, centerpieces of any modern quartet collection. For what it's worth, a little personal experience related to this music. I started my classical music listening with some of the Russian masters. It was almost by chance. My dad had an LP of Tchaikovsky's Fifth Symphony, as played nicely by Mitropoulos and the New York Philharmonic, and I listened closely to it when he'd put it on. This was by age three. I didn't understand what this symphonic music was all about but I liked it. Then when I was in 4th grade a visit to the old Sam Goody outlet in Paramus, NJ, ended up in my request for my dad to buy a budget RIAS Symphony recording of Stravinsky's Firebird. It had a picture of a bird in flight on the cover, fire streaming from its outstretched wings and I thought that looked very cool. I told my dad we should buy that one. He asked, "are you sure?" but yes, I was, so we grabbed it along with something for him, I believe Peggy Lee (or was it Julie London?) with the Page Cavanaugh Trio. The Firebird seemed like it came from another world. In time I grew quite fond of the music and it was the backbone of my first tiny collection of classical records. By the time I was around 14 I was eager to know more. And my entanglement with Stravinsky led eventually at that time to the Rites of Spring, a transforming work to hear if there was one. But to focus on what matters today, by chance the local record shop had a recording of Rachmaninov's Symphony No. 1 by Ormandy and the Philadelphia Orchestra. I bought it for $2.99, took it home and was little-by-little taken over by it. The minor mode darkness of the work, it's edge-of-modernity stance, its so-Russian sensibility made it quickly a favorite. And as it turned out the Ormandy recording was an excellent one, and so naturally became a benchmark to me when I heard other performances of the work later on. Cut to the immediate present. 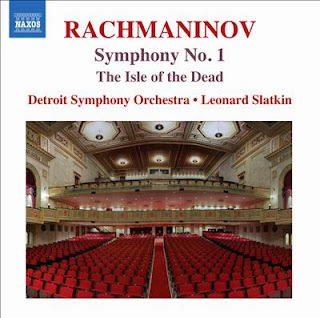 Leonard Slatkin and the Detroit Symphony Orchestra chime in with a continuation of their Rachmaninov series, with an beautiful recording of Rachmaninov's Symphony No. 1 (Naxos 8.573234) paired with the composer's milestone work in the dark realm, "The Isle of the Dead". I covered Slatkin's Naxos recording of Rachmaninov's Symphony No. 3 on these pages this past May 20th, which I liked a great deal. And he comes through again with a fine performance today. Like his version of No. 3, Slatkin and his Detroit associates take pains to bring out a detailed panorama (of both the symphony and the Isle work) where for the most part the wind and horns, the tympani and strings are all extraordinarily well-balanced, unlike some string-heavy recordings I have heard. And everything has that very idiomatic early-mid period Rachmaninovian dark passion. I remember reading somewhere how the young Rachmaninov was utterly devastated by the symphony's tepid or hostile reception at its premiere and second performances, and indeed grew to dislike it so much that he withdrew the work and shelved it. It was never again performed during his lifetime. This might explain how the work has been less often performed in my lifetime than his second and third symphonies. To my mind however the first is the most original of the three, certainly the most exciting and the most daring. It has tremendous power and mood in the right hands. I don't want to imply that the other symphonies aren't worthwhile. They too are marvelous. But the first is the preferred one for me. And the right hands are surely Leonard Slatkin's and the Detroit Symphony. It's an excellent performance, nearly as great as the Ormandy one I grew up with. There are a few passages, mostly in the final movement that I think Ormandy gets the edge on, but they are not many and in fact the Detroit version here has maybe even more kinetic energy and beautiful wind playing, so perhaps it evens off in the end. At the Naxos price this is certainly a version you can grow with and revel in. And the "Isle of the Dead" as performed gets a thumbs-up from me as well. Those who know the work will of course remember the principal theme, what at first sounds like an ostinato (in five) but then continually develops and transforms into something quite remarkable. I don't know if any of the principal jazz fusion/prog rock exponents ever listened to the work, but it does seem to be a precursor for what went down in those genres by the seventies. Yet of course Rachmaninov goes on to develop thematic material in ways the fusionists did and probably could not manage. But then they were more concerned to create a springboard for improvisations, though face it, more thematic development wouldn't have hurt that either. These are two supremely dark and dramatic works that pair especially well together and are given loving attention from Maestro Slatkin and the Detroit conflagration. I have heard nothing on disk that seriously surpasses these versions, so I of course enthusiastically recommend this recording without hesitation! Olivier Greif (1950-2000)? Why is it I have never heard his music until now? Part of that has to do with his non-adherence to Darmstadt modernism and his subsequent non-involvement in post-modernism. His parentage was Polish-Jewish, but Paris was where he grew up and lived his life. His early death translates to his physical absence in the new millennium, when in some ways all stylistic bets have been off and an idiosyncratic stance is neither rejected out of hand nor defined as an entryway to school-foundations. In other words the time is ripe for his music to be more widely appreciated but of course he cannot be here to enjoy the fruits of his labor. Put all of these factors together and you do have some answers as to why his music did not offer itself to me in my previous years of listening and appreciation. 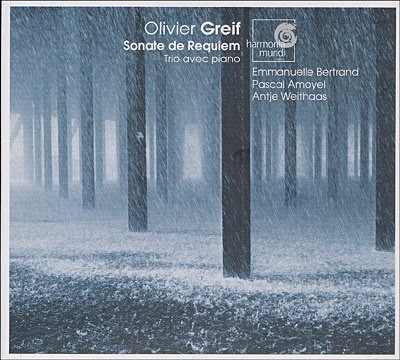 The CD on tap this morning is one that does full justice to Olivier Greif. It is a program of two of his works, the Sonata da Requiem (Harmonia Mundi 901900) (re-released this year in the Gold series HMG 501900) for cello and piano, and the "Trio" for violin, cello and piano. The performers help make this program stand out in a spectacular way. They are Emmanuelle Bertrand on cello, whose unaccompanied CD I have reviewed recently here and who is eminently well suited for this music. 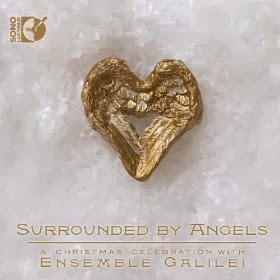 Then there is Pascal Amoyel on piano, Emmanuelle's partner in music and life, someone we've covered here as well and a very sympathetic exponent of Greif on this recording. Finally there is violinist Antje Weithaas, who joins the two for the trio and sounds perfect for this music as well. The performances are rather stunning. 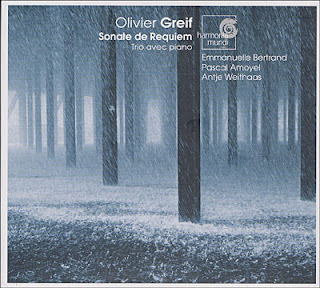 The "Sonata de Requiem" is Greif's four-movement meditation on death. 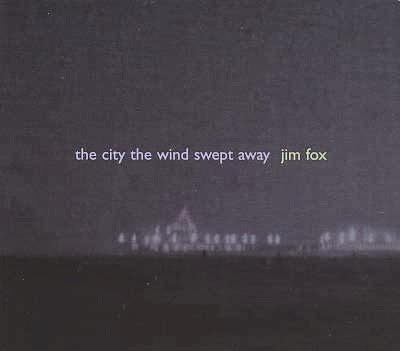 Written between 1973-1993, it blossoms in its very personal juxtaposition of quasi-romantic expression, dirge melodies in minor that to me reflect a Semitic musical influence, and the interjection of beautifully crafted modern non-tonal, extra-tonal passages, sometimes articulated simultaneously with minor-tonality expressiveness, sometimes in their own right. There are similarities to be heard with the early-middle period music of Messiaen, in the way the two (or three) stylistic strains weave together in ways that people like Boulez have eschewed. In that there is also something akin to Charles Ives in his welding of disparate strands. But Greif sounds like neither. What he puts together and how he does it makes for a very personal approach. He is a tabula rasa in some ways and all the more interesting for it. The Trio (1998) goes well with the Sonata, again in a poly- multi-stylistic way. Bertrand, Amoyel and Weithaas convince totally with the dramatic, dynamic readings of the two works. They soar with passion, they make the dissonant modernist parts seem inevitable and right, not a stitched-together patchwork quilt of sorts, a language of fluency, of singular totality. This is music of genuine contrasting interest, even perhaps of genius, performed with brilliance. Although it came out a few years ago it is as vital today as it was then. Superb and uncategorizable! Jim Fox, founder of Cold Blue Records and one of the most fertile, intriguing composers in "radical tonality" today, turns in a fine work with a single in the series, The City the Wind Swept Away (Cold Blue 0015). It is a slow moving, somewhat mysterious, supremely atmospheric work for two trombones, two bass trombones, piano, two violins, viola and cello. The ensemble creates a kind of blue-green haze to depict a city that has vanished, the emptiness palpable and audible in no uncertain terms. And the performance is all you could wish for. At the center are slowly moving piano patterns, broken arpeggiated chords swinging like a slow pendulum, sometimes breaking free, only to return to another ostinato pattern. The strings and trombones come upon us as variable translucent blocks, like mists rising over a flat, empty expanse, then dissipating, to be replaced gradually by other chordal blocks of heightened tonal colors. It's music of beauty and wonder, something that goes well with a sunset or sunup in an otherwise silent room. This is strongly engaging associative music that unfolds in a sonic panorama with great calmness and grace. It will give you pause, make you drift someplace good. Excellent. The holidays, Christmas, things that make children glow. If you as an adult have an increasing aversion to the cheap tinsel, Black Friday insanities, the impossible expectations that both Madison Avenue and some of the more over-the-top secular carols have made on your feeling of good times, there are remedies. One is in the music you might wish to play during those times. I personally gravitate to the very old music, because much of it is really stunning, and the schlock sorts of things can get on my nerves very quickly. There is a new album of music out by Ensemble Galilei, a group that straddles a line between quasi-early music style and quasi-folk from Irish to Americana. The album is called Surrounded by Angels (Sono Luminus 92173) and comes in a two-disk set--a regular CD with stereo mixes and a Blue-ray disk with 5:1 surround. The musical selection is great. They go for some of the arcane classics and a few indispensable less old but no less evocative carols. So you do get "Silent Night," but you also get "What Child is This (Greensleeves)", an old Irish favorite of mine, the "Wexford Carol", and things associated with folk strains, like "Brightest and Best" and "I Wonder as I Wander". The song choice is refreshing and the ensemble does them a real favor with early/folk arrangements that use a harp, a pennywhistle or a recorder, violin-fiddle, even a banjo for one or two. The arrangements and performances are enchanting. There are jigs, there is plainsong done instrumentally, there are no vocals and so you can revel in the sound of the arrangements and the wonderful carols without having to worry about just what it all exactly means. I find the disk a true delight. Here's a way to rid yourself of the commercial blues and experience some kind of more down-to-earth hookup with the old traditional music. It's surely going to get you feeling well around Christmastime and the holidays, I would think. It's good enough that I have listened a bunch of times early in the season now and I never got that "no, please, not again, not this early" feeling. It's that good.